Agriculture is one of the defining elements of a nation. This series consists of analyses on a variety of agricultural issues including (but not limited to) the developments, policies, programs, trade, trends and economics of agriculture. Topics will be seen from a U.S. perspective, but not to the exclusion of other countries particularly when the discussion has an international scope. 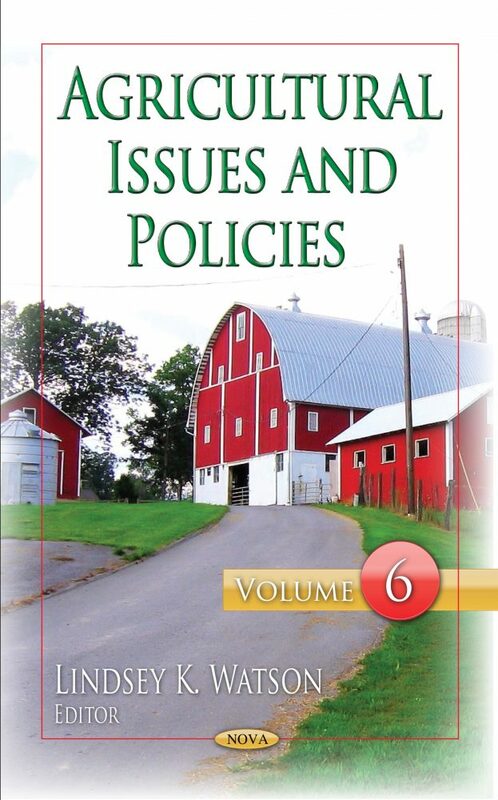 Topics discussed in this issue include farm safety net programs; specialty crop provision in the 2014 Farm Bill; background and issues in agricultural research; the effects of recent energy price reductions on U.S. agriculture; and the effect of transportation costs on fresh fruit and vegetable prices.